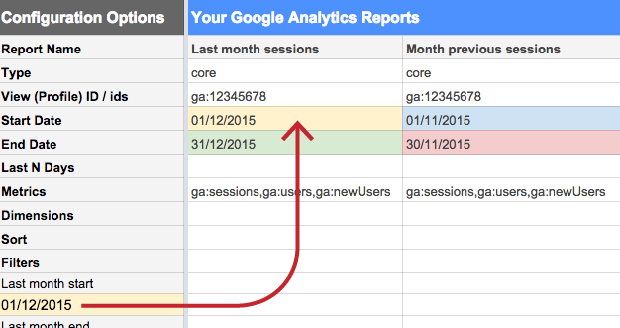 I regularly use the Google Analytics add-on in Google Sheets for reporting data to stakeholders. It's a way to obtain data via the API and run queries which are not possible to do within the Google Analytics interface. I find one of the benefits of using the add-on is the ability to set relative dates using formulas in Google Sheets. This is particularly useful when setting up a report that requires updating on a regular basis. By setting up relative date ranges and using the scheduling feature in the add-on, I can set a report to automatically refresh on a periodic basis. Formulas to get a cell to display today’s date and yesterday’s. 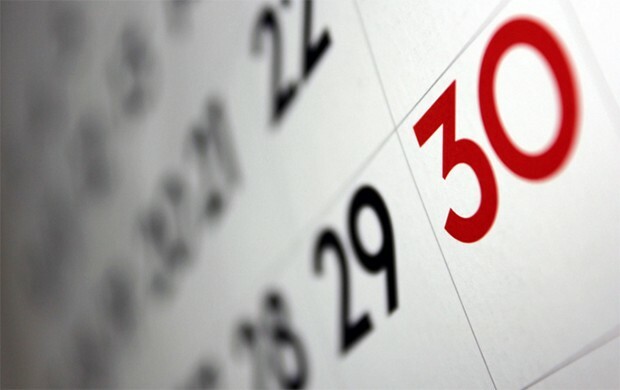 Setting the date to a set number of days ago is achieved by adjusting the above formula. By default, weekly reports in Google Analytics are set from a Sunday to a Saturday. These formulas work out the dates for Sunday and Saturday for the last complete week. If you prefer reporting from a Monday to Sunday here are the formulas. These formulas can be used to get the dates for the current month, the previous month and the month prior to that. The formulas can be adjusted to be set to 4 months before, 6 months before etc. When looking at last month’s data I usually compare it with the data from a year ago. These formulas automatically work out the start and end dates of the same monthly data a year ago. All of the above formulas with actual dates have been included in this google sheet. Make a copy if you’d like to edit it. If there are relative date functions that you use regularly that I’ve missed, leave a comment below. We’ll add common formulas to the google sheet. Thanks for the helpful tips. I have a date challenge that I am having trouble to resolve - I need to have month to date comparing, I.e. : Jan 1-10 to Feb 1-10 and so on, till the end of the month, and then when month ends to have a new month to month comparison, I.e. : Feb 1-10 to Mar 1-10. Is there any date formula to this type of comparing? Nice - myself and colleague were looking for just how to get ISO week numbers and this worked like a charm. Thanks for sharing! Hope to do a post in the near future on time and date formatting in Google Sheets. Will include this useful tip. -In a new cell use the reference =A1/86400 (where A1 is the ga:avgSessionDuration value). -Then format the new cell into 'Time' (Format > Number > Time in GA Sheets). Can we use the same formulas in Excel? Yes, the formulas will also work in Excel so long as you ensure the relevant cell is formatted to 'Date'.